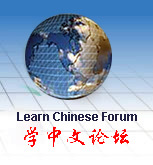 Happy Time:Chinese for children Conversation. This is a basic Chinese conversation textbook designed for abroad children, age 0-6 who are studying Chinese. All the dialogues here are written in terms of children's demands in their lives and studies. By studying this book, children could master a number of ordinary speeches, and to some extent they will be able to communicate with parents, friends and teachers in Chinese. Moreover, the whole book advances in difficult levels; therefore children could acquire gradually some fundamental Chinese words and sentences while they learn to communicate. Happy Time series consist of three books: Phonetics, Verses and Conversation. Their companions CDs are available. This order is for book, Happy Time: Chinese for Children-Conversation and its companion CD together.